The December Moth was @SpeciesofUK from 18th November to 8th December, 2013. 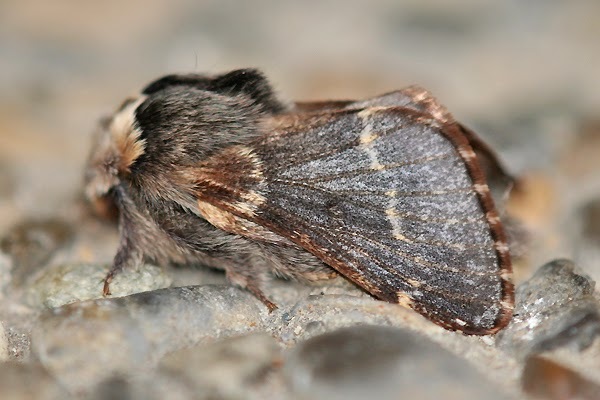 The December moth is a fairly common species of moth found across the UK. 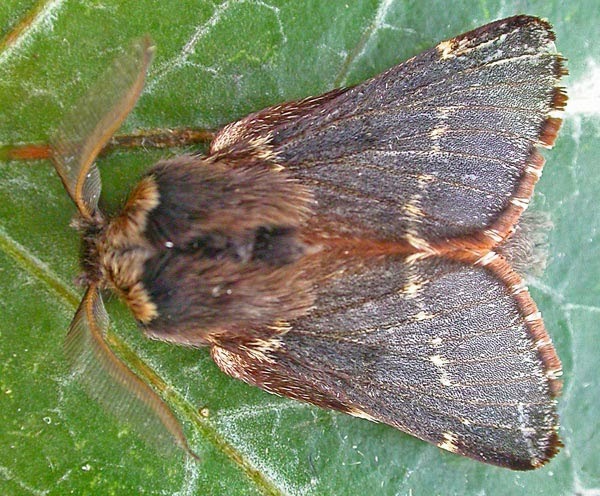 The flight time of the December moth, as its name suggests, is late in the year. It can be found from late October to December. 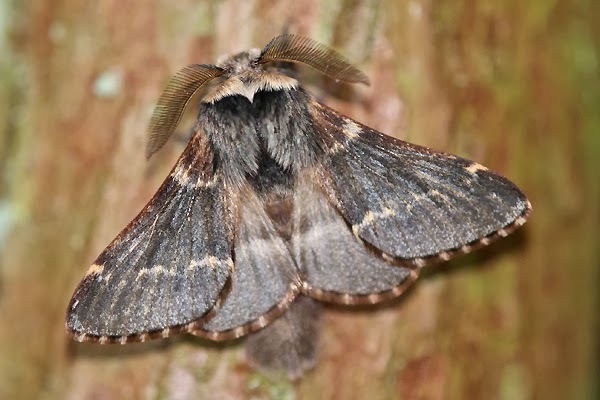 The December moth is found in a variety of habitats. 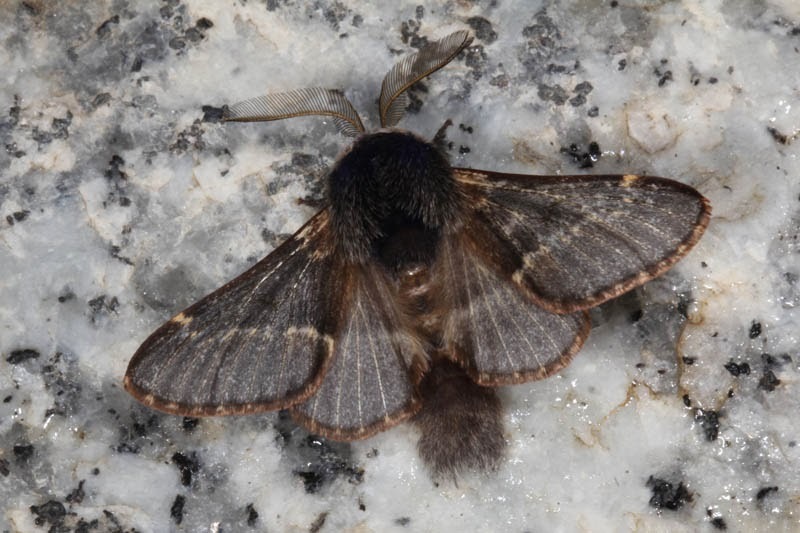 The December moth has successfully made itself a home across Europe, northern Asia, and even into Japan. It is found in a variety of habitats, such as woodland margins, clearings, bogs, and occasionally gardens. It is a member of the Lasiocampidae family. Lasiocampidae moths are sometimes known as 'snout moths,' so called for the protruding mouth parts of many species. Lasiocampidae are also sometimes called 'lappet moths' due to the decorative skin flaps found on the caterpillar's prolegs. The December moth is greyish brown. 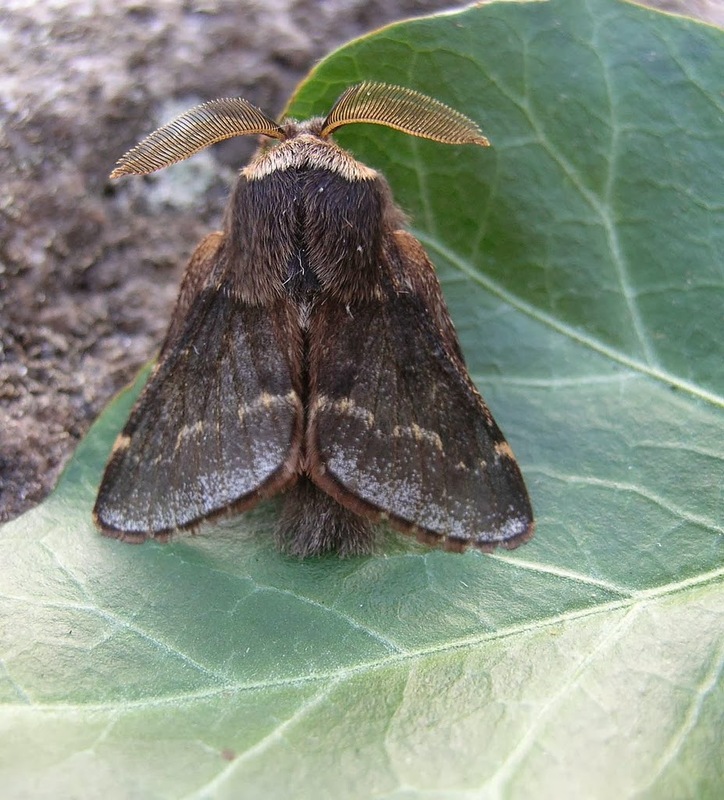 The December moth has grey-brown forewings with a pale 'postmedian' line. The hindwings are a bit paler with a diffused central band. They have a wingspan of 30 to 45mm and the wings have a slightly translucent appearance, due to their thinly-scaled surface. Appropriately enough, they look built for the winter, with a shaggy mane that covers up the thorax. The males have larger and more feathery antennae than the females, although the female is bigger overall. The December moth starts to fly in October. 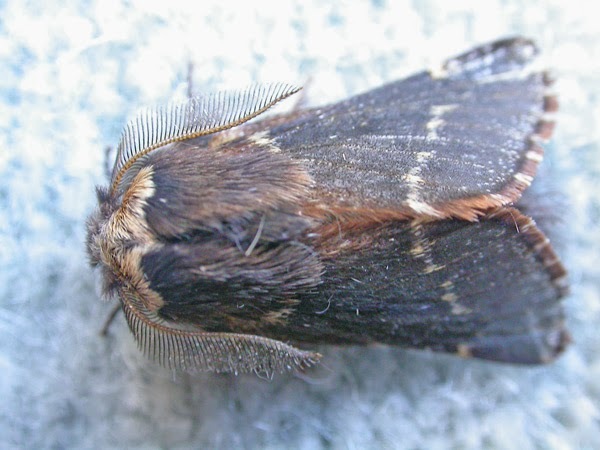 The December moth gets its name from being one of the few insects still flying into December. However it first appears in late October, or more often from mid-November. 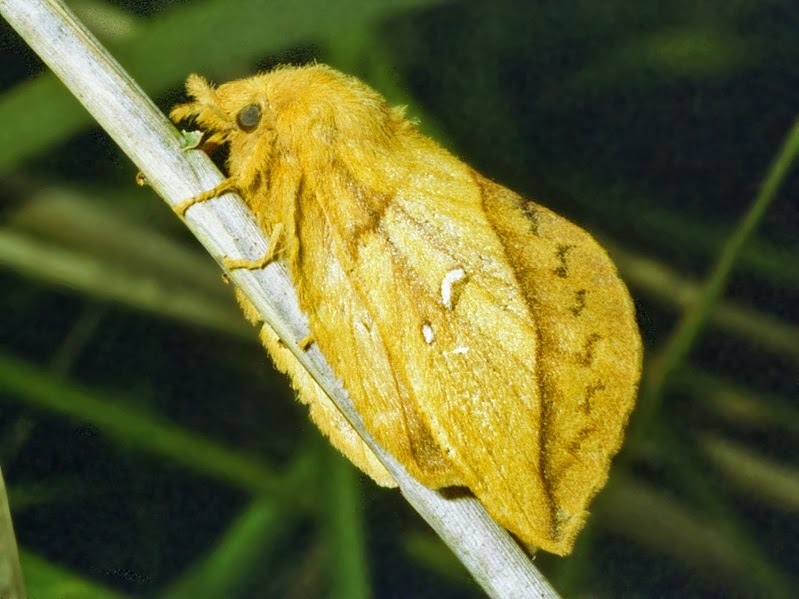 After overwintering as eggs, the December moth larvae hatch in the spring. 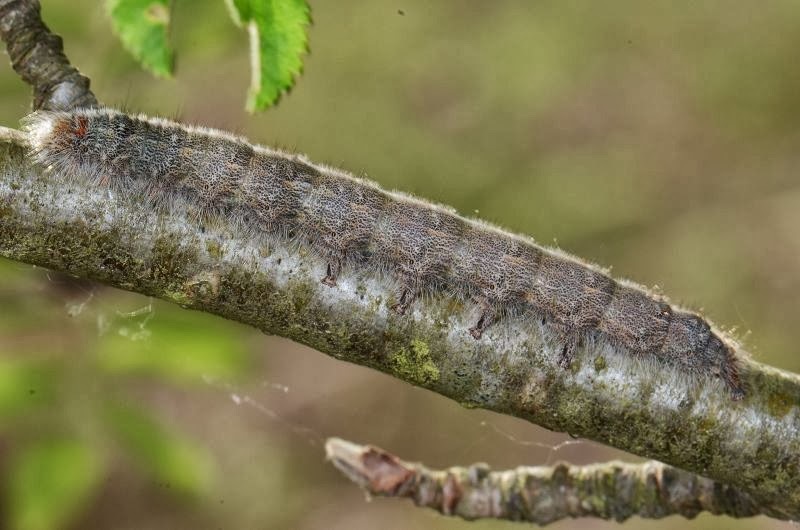 The larvae feed on a variety of deciduous trees, such as oak, poplar, birch and hawthorn. They are active until July. 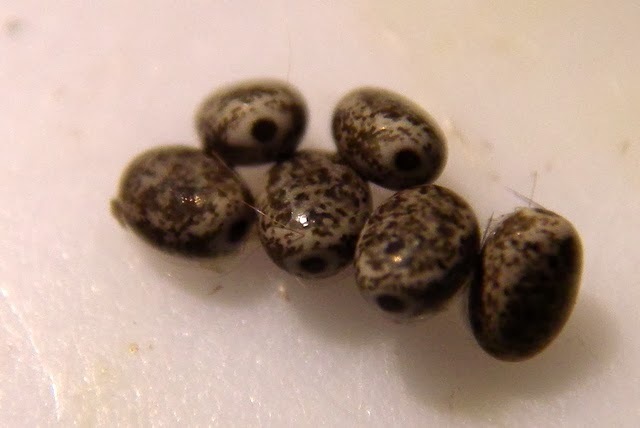 The larvae are variable in colour. Some are black with red spots, others are grey with orange/brown diamonds down the back, and some are grey all over. 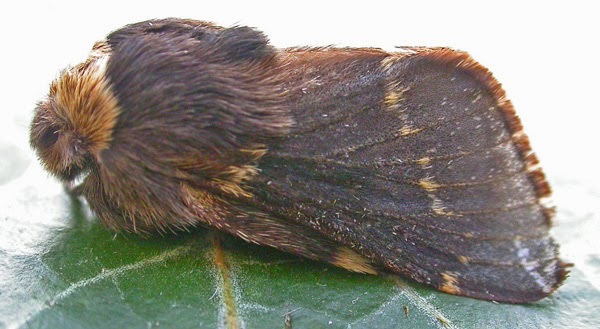 The December moth, improbably, is often regarded as a rather beautiful creature. According to The Guardian’s Country Diary, "the December moth...seems almost purpose-made to remind us of the aesthetic possibilities of chitin."